Issue: Arizona Smoke-Free Living, a coalition comprised of health organizations and community advocates, wanted to connect with residents and property managers to create smoke-free living options for all Arizonans, regardless of income. Tactics: The STRATEGY forty-eight team created a website and social media pages for Arizona Smoke-Free Living. We also developed informational packets and educational videos. 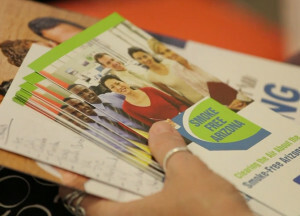 Result: Arizona Smoke-Free Living has connected with thousands of people through the group’s social media channels and website. The group is regularly contacted by residents and property managers interested in their mission and there are now more than 20 smoke-free properties in the Phoenix metro area. Arizona Smoke-Free Living regularly sees an increase in visitors to its social media pages and website.